The Gospel is that the Lord Jesus Christ died for our sins, was buried, and rose from the dead showing his victory over sin and death and guaranteeing our salvation and justification before God. Whosoever shall call upon the name of the Lord *Shall* be saved. For by grace are ye saved, through faith… it is the gift of God. For God commendeth his love toward us in that while we were yet sinners, Christ died for us. Nothing can separate us from the love of God which is in Christ. You cannot *add* or take away anything from this…. God’s ordained prescription for salvation in this age. You cannot deny Christ’s Sacrifice and resurrection and be saved. You cant say “I’m a good person.. I dont deserve to go to hell”…. for there is none Righteous no not one, For all have sinned and come short of the Glory of God. If you deny that it was necessary for Christ to shed his blood for you…. you reject the gift of God. You cannot *Add* to the finished work of Christ as preached to us by the Apostle of the Gospel of Grace St Paul. False preachers of the Law say that a person must keep the Law to be saved…. ie they add *works* as necessary for salvation. They prove they dont understand the Gospel of grace at all! They fail to ‘Rightly divide’ the word of truth and so twist the scriptures to say what they want…. by mis-applying the old testament, the Kingdom preaching of Christ, St Peter, St James, etc…. and corrupt the Gospel of grace into Slavery under the Mosaic Law. They add things like baptism, like keeping the Sabbath etc as necessary for salvation. These ‘additions tend to enslave those whom they deceive into obeying *The Church hierarchy*….. ensnare them in tithing etc. 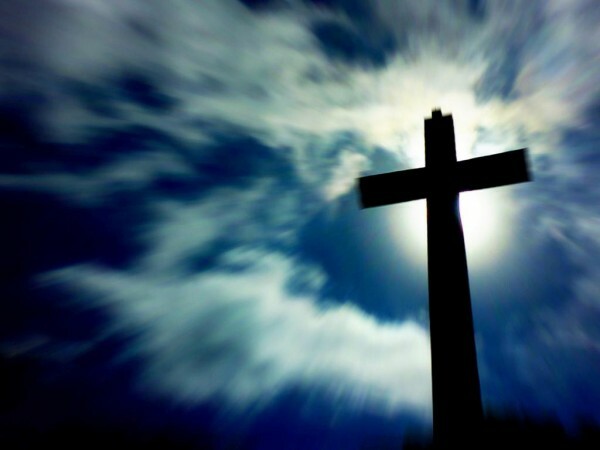 This is to deny the Liberating Power of the Cross, which sets us free from the Law. If all this seems confusing….. Satan Laughs and spreads his wings…. He created this confusion to keep you from the Simple truth. That Christ has paid the penalty of our sins and that if we simply ask God to save us in Christ’s name…. we will be saved indeed… no ifs…. no But’s…. Christ came to save us Sinners. No matter who you are or how evil you have been, or what your personal struggles and vices are.…. Christ s Blood can save you! Rejoice in the Love and GRACE of God our Heavenly Father. Protestant King James Bible believer Dispensationalist Libertarian Independent. Previous PostThe Treaty of Waitangi – A contract between two mastersNext PostCould you be a non person? You mean you actually have to change what you do in your life and participate in a sacrament?! OMG a gospel of “works”!!! Forgive my sarcasm. I agree with a good 80% of what you wrote. Salvation is indeed a gift of grace dependent only on God’s mercy, not on our efforts. But to say that Christians have to do “nothing” in response is contradicted by all except the most liberal and libertine of “Christians”. All who believe in Christ’s saving acts must act in response – they must repent – ie. stop doing the things they were doing previously, and be baptised – an action which takes on Christ’s death and resurection for the remission of sins. As we continue to live our lives, God demands our humility and our vigilance. Our faith must be ongoing. Our relationship with God is not a legal contract or a legal status before Him – a “get out clause” if you will, but is indeed a relationship, and no relationship can be maintained without effort on both sides. It is correct to say that the works of the law do not save us, but incorrect to say that the law has been abolished. The law stands, because Christ is the Law, the Logos. “On the contrary, we establish the law…” (Romans 3:31) Sin is still sin, and if we are not making every effort to rid our lives of the sickness of sin, then our faith is not in Christ, the Law, but in something else. So this is why the sacraments are necessary – not because works save us but because our faith must work with God’s mercy in the Way He has given us. We must confess our sins (1 John 1:9) and imbibe the body and blood of Christ (John 6:53-58). And because sin is a constant danger to us, and through our faith we abhor sin, we stand vigil against it through prayer and fasting, so that the Holy Spirit will work in us and defeat the enemy. saying, That it was needful to circumcise them, and to command them to keep the law of Moses. 1 Then fourteen years after I went up again to Jerusalem with Barnabas, and took Titus with me also. 2 And I went up by revelation, and communicated unto them that gospel which I preach among the Gentiles, but privately to them which were of reputation, lest by any means I should run, or had run, in vain. When you *Add* repentance as a necessary condition of the gospel you show that you have failed to appreciate the uniqueness of St Pauls Gospel of the grace of God, from what had been preached before him by Christ and post-pentecost by St Peter. Under these earlier ministries and their preaching of *the kingdom gospel* to the Jews both repentance and Baptism were necessary. They had to prove themselves fit to enter the millennial kingdom of David, and to ‘endure unto the end’ to be saved…. all doctrines of faith Plus works. All very different from what St Paul came preaching. 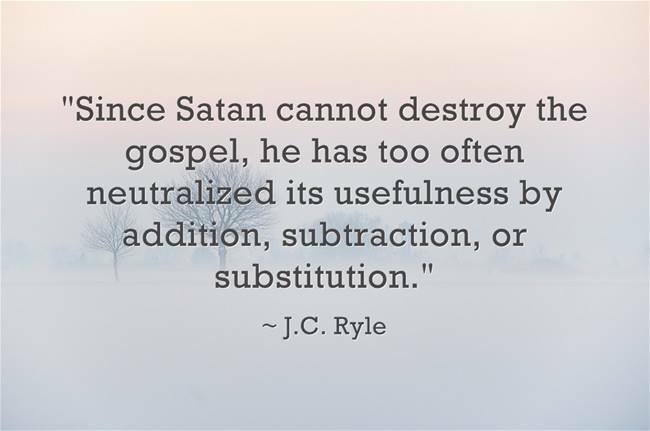 His Salvation was 100% grace and is a pattern of Salvation in this age. He preached the Cross as a Revelation of a great mystery… an awesome thing to rejoice in. Prior to this Peter preached the Cross in early acts as an act of murder and rebellion against God. Thus we must take extreme care not to add such conditions to the gospel of grace. How the Christian ‘ought’ to walk after he becomes saved is a totally separate matter from salvation, which is an act of Pure Grace via faith. universal offer of salvation by grace doesn’t mean everyone will accept it.if you preach that you have no role then you are not preaching. those that accept the offer of salvation by grace must first repent. without repentance and obedience to the voice that is calling you then you cannot access the grace. repentance is a necessity the more reason paul says preserve your body and that grace isn’t a license to sin. we don’t catch it when james was talking about work and faith. what do you understand by work out your salvation in fear and trembling. obedience to the teaching of CHRIST is actually work in itself. I’m not sure how you can believe in a God who constantly contradicts Himself. Either both Peter and Paul preached through the Spirit of God, or neither did. Can’t be one or the other. And the quote of Paul I made, along with much of the rest of his epistles, completely contradicts your “gospel”, a unique, multi-dispensationalist system unknown in two thousand years of theology. I put it to you that it is unlikely that you are the vessel of the Holy Spirit finally revealed after two thousand years of spiritual darkness! And you state that How the Christian ‘ought’ to walk after he becomes saved is a totally separate matter from salvation, which is an act of Pure Grace via faith. I’m not sure you understand what salvation is. It is nothing less than the renewal of soul and body. If one simply becomes “saved” by a decision of God – ie. God changing His mind about you, yet you remain unchanged, then is it you or God who is just? It is effectively saying that God was previously unjust, yet now is just because He has “saved” you by His change of mind, and your subsequent acts are mere gratitude towards His change of mind. But it is obvious to me that this does not reflect the reality of God, or any sort of gospel at all, since the sickness of sin still exists within you – God is now merely “ignoring” what He previously felt wrathful vengeance against. And in saying so, we are effectively justifying sin, not God. We are saying that we like our sin and we lack the faith to be rid of it, so God must change His mind from an attitude of wrath to an attitude of indifference.